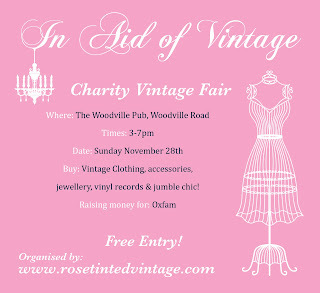 This is the second In Aid of Vintage and I can't wait to go to this one after missing the first one. 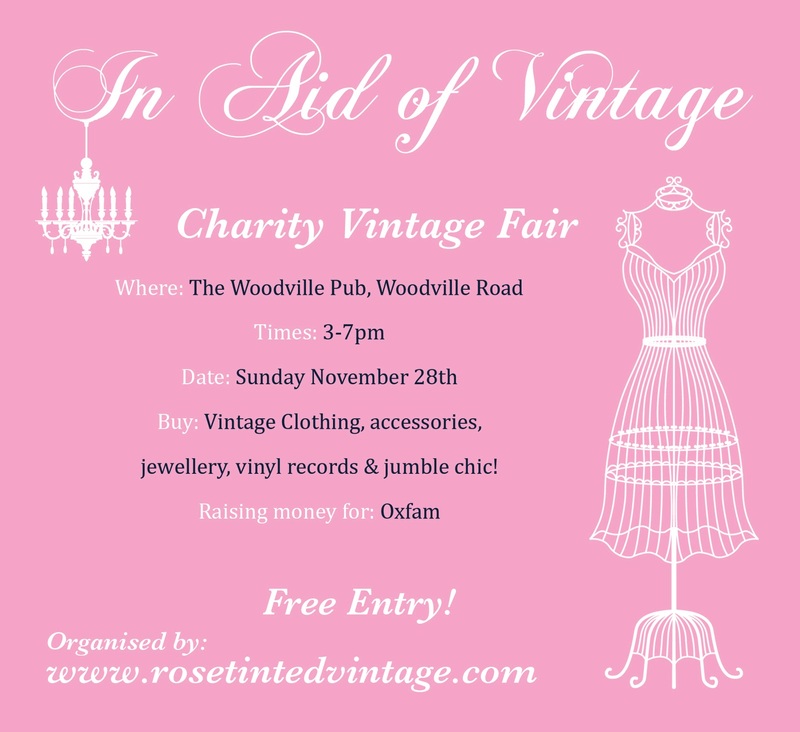 There is going to be lots on offer including vintage clothing, vintage accessories, vinyl records, one-off unique jewellery and jumble chic. It's free to attend so no excuses not to pop along. Make sure you tell all your mates and grab some great bargains because it's all for a good cause. You can make a full day of it because The Woodville serves great food and their Sunday night quiz is always fun. I once won a microwave and a crate of beers at the Woodville quiz back in my uni days.